There are some dishes that are so basic to make that they barely ever get mentioned in cookbooks. 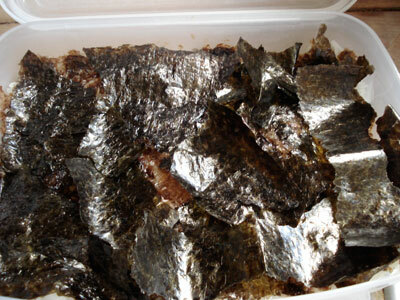 Noriben (the word comes from nori and bento mashed together) is one of them. 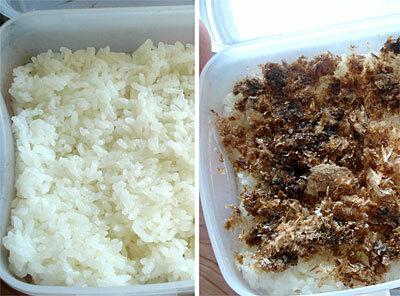 It’s a really basic bento, consisting of just 3 or 4 ingredients: rice, nori seaweed, soy sauce, and often dried bonito flakes. It’s tasty and inexpensive. It was standby for my mother when there was nothing else in the house except for a few pantry staples, and she had to make bento for two of the kids plus my father. 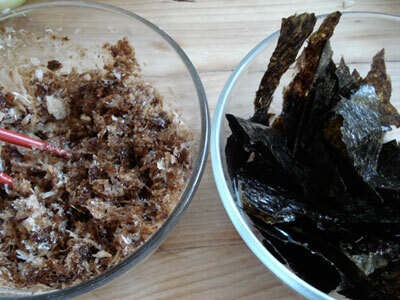 Whether or not you’d like noriben or not depends on whether you like the sea-taste of nori and soy sauce. It’s one of those things that Japanese people tend to think that only a Japanese person could really love. It makes most Japanese people feel very nostalgic. For the sake of nutritional balance you might want to have other, not too salty things in your bento box with noriben, such as steamed vegetables, chicken, fried tofu, or a piece of grilled fish. Sprinkle the bonito flakes with a little soy sauce and mix with a fork or chopsticks. Rip up the nori into small pieces. Fill the bento box about halfway up with rice. Put a layer of bonito flakes on evenly on top. Sprinkle with a little more soy sauce if it looks too dry. 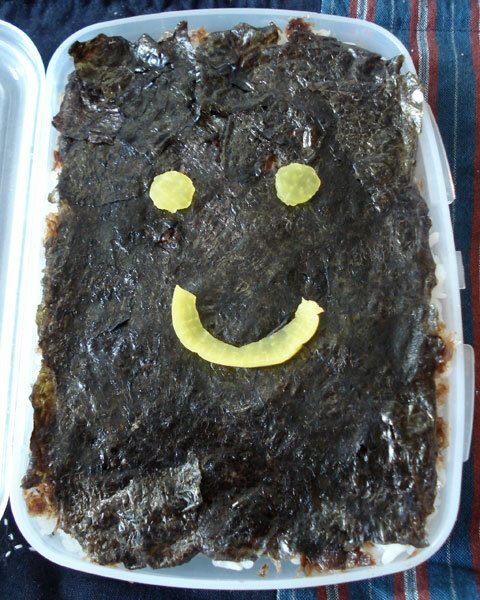 Put a layer o nori seaweed on top evenly. If the nori tends to fly around, press down lightly with moistened fingers. Repeat with another layer of rice, bonito flakes, and then a final layer of nori. For an even simpler version, omit the bonito flakes. After topping the first layer of rice with nori, sprinkle with enough soy sauce to moisten the nori but not soak the rice through. Repeat with another layer of rice and nori, and sprinkle with soy sauce again. Unlike the usual procedure where you let the rice cool down before closing the bento box, you can close up a noriben while it’s still a bit warm. 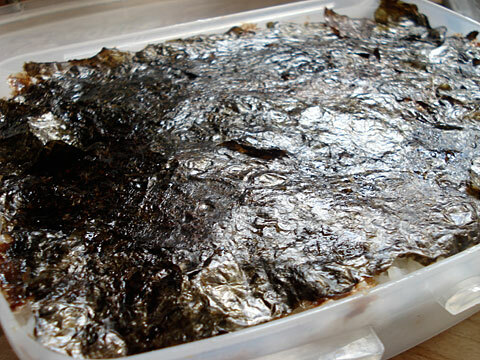 The nori will become rather moist, but that’s all good - it’s quite delicious that way. One word of warning: be sure to check your front teeth after consuming a noriben - you may be sporting a few black spots on your smile. The photo at top has a smiley face made of takuan pickles, which is strictly optional.